Celebrities seem to always stay in the eye of the public. need to get rid of baby fat. Most diets that celebrities take on are often crazy odd fad crash diets. Their eating habits become odd and they usually exercise a lot in this time. Here are the top ten odd celebrity diets. Many women have faith in Oprah and they take it serious when she recommends a new diet. One time on her show she had Dr. Oz and they talked about how she had lost some weight. 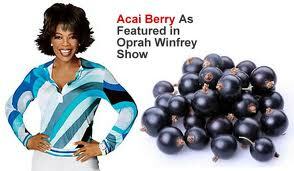 She said that one of the main ways that she lost weight was with taking acai berry. The reason why was because it had a lot of incredible antioxidant properties in it. When she said that then things just crazy with this diet. 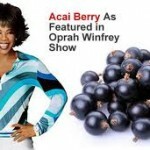 There have been lots of false claims about acai berry and because of it Winfrey and Oz sued people over those false claims. The master cleanse is a diet that can be dangerous and terrifying. The reason why it can be dangerous is because on this diet you do not eat any kind of solid food for at least 10 days. The diet is mainly focused on homemade lemonade, water, maple syrup and it also has Cayenne pepper. Before doing this extreme diet be sure that you see your doctor first. Beyonce lost a lot of weight on this diet. 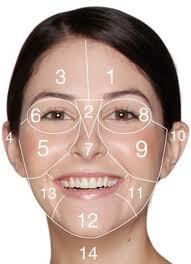 The facial analysis diet is a plan that is very wacky. Why? You work with a facial analyst and then they will propose a diet that is only based on your hair, skin and on your eye texture. Kate Winslet was able to lose her baby fat because of this diet. The reason why this diet works is because you usually just drink a lot more water and you eat a lot of vegetables. If you like raw veggies and raw meat then this diet might be the best one for you. Demi Moore lost a lot of weight on the raw food diet. You can eat food such as dried fruits, nuts, whole grains, seaweed, sprouts, beans and other raw food items. Refined sugars, alcohol and caffeine must be avoided when you are on this diet. A food dehydrator needs to be used instead of the oven or stove. Being on this diet might reduce the risk of bladder cancer. It sounds kind of crazy for people to be on the baby food diet. In Hollywood the baby food diet is a big deal. Tracy Anderson and Reese Witherspoon both lost weight and recommend the baby food diet. The theory of this diet is that you need to eat baby food that is mushy and bland plus served in jars that would be portion controlled. The problem with this diet is that baby food is meant for babies because they have a lot of different nutrient and calorie needs then adults have. Babies also lack calcium, fiber plus vitamin D. You might also overeat on this diet and not lose any weight. You better like cabbage soup if you decide to go on this diet. You can eat as much cabbage soup that you want. What’s in the soup? Cabbage, tomatoes, onions and food that is unsustainable. This diet can help with helping you to lose weight but it’s mainly water weight that you lose. Sarah Michelle Gellar was the one who did this diet. The one thing to be careful about when you are on this diet is that you might gain a lot more weight when you do start to eat again. Another new fad is the three week detox juice diet. Gwyneth Paltrow followed this diet and had two liquid meals per day and in between she had one meal that was solid. You will gain more energy with it but at the same time you won’t be having a lot of dairy, proteins, carbs and fiber so you could end up also feeling very drained. Be ready for a challenge with the fat smash diet. This diet actually lasts for 90 days and it’s a weight loss program that has four phases. The Fat Smash Diet was done to help people with rewiring their body and the relationship that it has with food plus physical activity. You can eat four to five meals that are small and have at least one snack that is big. All food portions must be small and they should have vegetables and fruit in them. One part about this diet is that you must maintain mental and emotional focus. This diet was made famous by the one that is on the VH1’s Celebrity Fit Club Ian K. Smith and he wrote a book about it. The grapefruit is known to have some properties in it that can help with fat burning and this might be as to why this diet is so popular. Kylie Minogue does this diet in order to help with staying thin. You have to take in less than 800 calories per day and many people say that is starvation. The Grapefruit diet means that at every meal you must have half of a grapefruit with it and the meals you eat need to always be small. One example is when dinner time comes around you can have green or red vegetables, or a salad, you can eat as much fish or either meat that you want and you must have either 8 ounces of some grapefruit juice or 1/2 grapefruit. The Cookie Diet sounds very good because almost everyone enjoys cookies. Kim Kardashian decided to try this diet. You will need to do your research before you decide to do this diet. The reason why is because there are many plans that exist. One of the most popular plans is the Hollywood Cookie Diet and the Dr. Siegal’s Cookie diet. Over half a million patients lost weight with the plan from Siegal. How? the cookie has a lot of amino acids and those acids can help with being able to suppress hunger plus it has fiber and a few other ingredients that you need. You can only have around 500 calories per day and you must eat at least four to six cookies. The dinners must be kept simple such as lean protein, veggies, salad and a light frozen dinner.